Flying Q is an installation whose configuration is fashioned resembling a flying saucer. 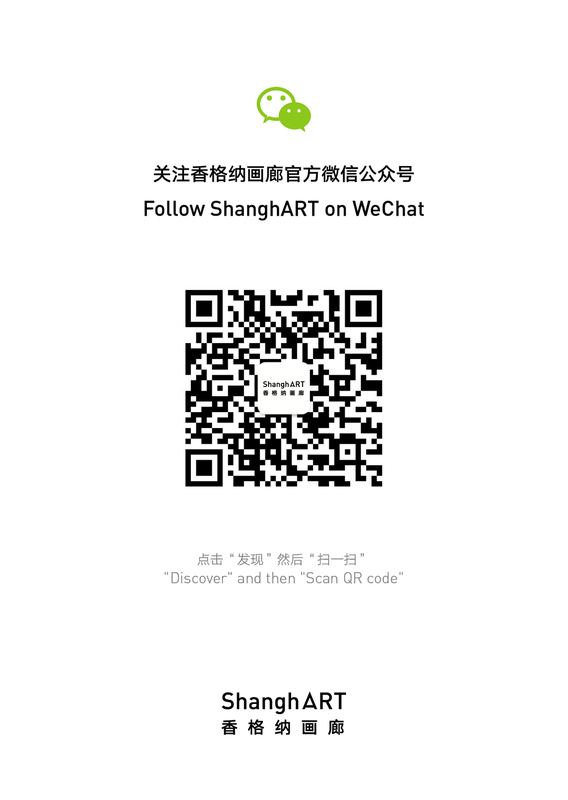 In 2003, SHI Yong participated in Open Sky, the inaugural exhibition of Duolun Museum of Modern Art. Led by his imagination and fantasy that went as immeasurably as the "open sky", the artist produced this installation as if it were prepared for the launch on the top of the museum building. The content shielded by the "flying saucer" is inaccessible to its viewers, unless they lie into one of the six holes. Inside the installation, there is a revolving inflated pink bone, coupled by the sound recording of the interviews about "open sky" held by SHI with the other 17 artists who also displayed works in this very exhibition. The work was intentionally designed this way, so that when all the holes are occupied by people, it appears as a large turtle. Defying the mission of flying assigned to its crawling humble body, the installation bespeaks another teasing performance about illusion and reality.